Experience L’Institut Darphin’s signature facial at home with the Darphin L’Institut Facial Sonic Cleansing and Massaging Expert. 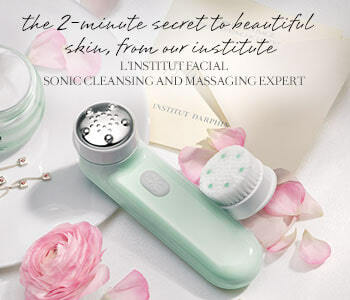 Designed to mimic the touch of Darphin therapists, the L’Institut Facial Sonic has two interchangeable heads, which remove impurities, boost the skin’s natural cellular process and enhance the effectiveness of your moisturiser. The L’Institut Facial Sonic will become a staple in your skincare routine, its innovative technology helping to keep your skin healthy and radiant day after day.